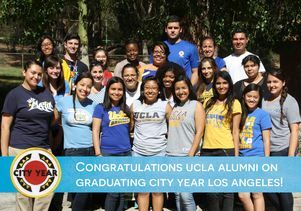 More than a dozen Bruins served with City Year in Los Angeles alone last year. The national nonprofit City Year, which trains 17-to-24-year-olds to run intervention programs in K-12 schools to improve graduation rates, accepted more new members from UCLA this year than from any other school or university in the country. 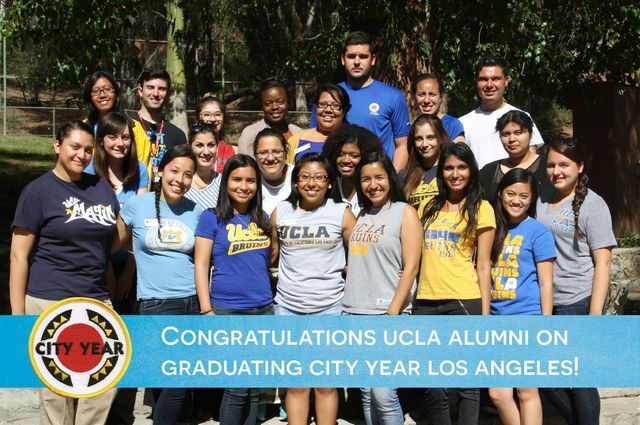 UCLA is one of more than 2,000 schools where City Year recruits. The program is part of AmeriCorps, often described as the domestic version of the Peace Corps. City Year members commit to one year serving the program, and receive a modest cost-of-living stipend and money toward their education. This year, 54 Bruins will join City Year programs at K-12 schools in Boston, Jacksonville, Little Rock, New York, Sacramento, San Jose, Seattle, and of course, Los Angeles. In 25 cities across the country, City Year strives to bridge the gap in high-poverty communities between the support that students actually need, and what schools are designed and able to provide, said Erica Eddings, a regional recruitment manager in Southern California. 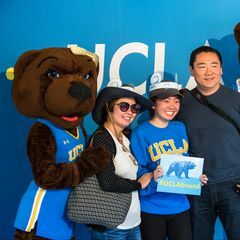 Volunteering is a key component of UCLA’s three-part mission of education, research and service, so it’s no surprise that a commitment to public service leaks into students’ DNA, said Rachel Corell, head of the UCLA Volunteer Center. The Volunteer Center runs events year-round, including an annual project with City Year Los Angeles. Every Martin Luther King Jr. Day, Bruin volunteers join City Year corps members at an underprivileged L.A. school for beautification projects, including painting educational murals and inspirational quotes on the walls. Students also hear about City Year through programs like UCLA’s annual Non-profit Networking Night, run by the Volunteer Center, the Career Center, the Office of Residential Life, the student Community Service Commission, the alumni office and Partnership UCLA, Corell said. Jackey Arriaga, who graduated in 2013 with a B.A. in sociology, often volunteered through her community-service-based sorority, Sigma Delta Sigma, which joined many Volunteer Center projects. Arriaga just completed her first year with City Year Los Angeles, and signed up for a second year as a team leader. Ashwin Kumar, who graduated in December with a bachelor’s in political science and a minor in film, said he enjoyed his undergraduate volunteer experiences and internships so much that he knew he wanted a career in public service. He starts his first year in City Year later this summer. He was also inspired by his parents, both immigrants, who camped in line for two days to get him into a good elementary school and always reviewed his homework and tests with him after they were graded to make sure he understood any questions he had gotten wrong, he said. Three other UCs were among the top 10 schools sending new corps members to City Year, with UC Riverside coming in third, UC Santa Barbara fourth, and UC Santa Cruz 10th. 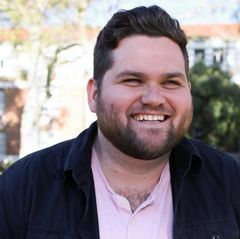 Among the 54 students from UCLA, most of whom are recent grads, several of the Bruin corps members will begin their second year with City Year, this time as team leaders, Eddings said. City Year Los Angeles' 2013-14 corps members from UCLA.